At the J Street Conference on February 27, Bernie Sanders delivered one of the most intriguing Israel-related speeches an American politician has given in years. Read it carefully, and you can grasp Donald Trump’s radicalizing impact on the America-Israel debate. The more Trump and his advisers question long-standing taboos by shifting right, the more Democrats will do the same by shifting left. Kerry discussed Palestinian rights and dignity, too. But they were a secondary theme. That’s not how ordinary Democrats think anymore. This past January, the Pew Research Center found that, for the first time since they began asking the question in 2001, Democrats were as likely to sympathize with the Palestinians as with Israel. Sanders’s speech reflected that. What political arrangement would best reflect those values? Sanders didn’t exactly say. He acknowledged that the “two-state solution… has been bipartisan U.S. policy for many years” and “is also supported by an overwhelming international consensus.” And he criticized Trump for casually suggesting that he might discard it in favor of one state. Trump Says You Can’t Love America And Care About The World. Jews Know Better. In emphasizing the values that an Israeli-Palestinian agreement must reflect rather than the two-state solution as an end in itself, Sanders again reflected a shift on the grassroots left. J Street still firmly supports two states. But the millennial-powered If Not Now, which contains many veterans of J Street’s student wing, is officially agnostic on the subject. So is the Boycott, Divestment and Sanctions movement, although one-staters are its most prominent leaders. This shift preceded Trump, but he is accelerating it. A more conventional Republican president would have undermined the two-state solution in practice while supporting it in theory, which is what the American Jewish establishment has been doing for decades. But Trump is contemptuous — or maybe just ignorant — of the long-standing rhetorical conventions guiding U.S. policy toward Israel. He’s not merely hostile to the two-state solution in practice. He and advisers like ambassador-designate David Friedman talk openly about ditching it in favor of a one-state alternative, and thus empower those on the Israeli right, like Naftali Bennett, who want to do the same. In the years to come, this will liberate Democratic politicians to think beyond two states, too. Sanders’s speech is the clearest evidence yet. The two-state solution, which I still support, requires both American conservatives and American progressives to compromise core values. The right must compromise its values of nationalism and Judeo-Christian religious authority by giving up biblically sacred land to a state populated mostly by Arab Muslims. The left must compromise its values of secularism, multiculturalism and equality by supporting two ethnically and religiously based countries. But we do not live in an age of moral compromise. We live in an age of moral extremism. Trump is making the Republican Party more nationalistic. Democrats are responding by becoming more universalistic. Trump’s Republican Party is becoming a more naked expression of white, Christian self-interest. Democrats are responding by embracing the interests of people of color more emphatically. All this will change the American debate over Israel. For Barack Obama and John Kerry, the impending death of the two-state solution was a tragedy. The Democrats who follow them may increasingly see it as an opportunity instead. 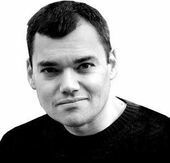 This story "Bernie Sanders Signals Liberal Push To End Israel’s Occupation — With Two States Or One" was written by Peter Beinart.